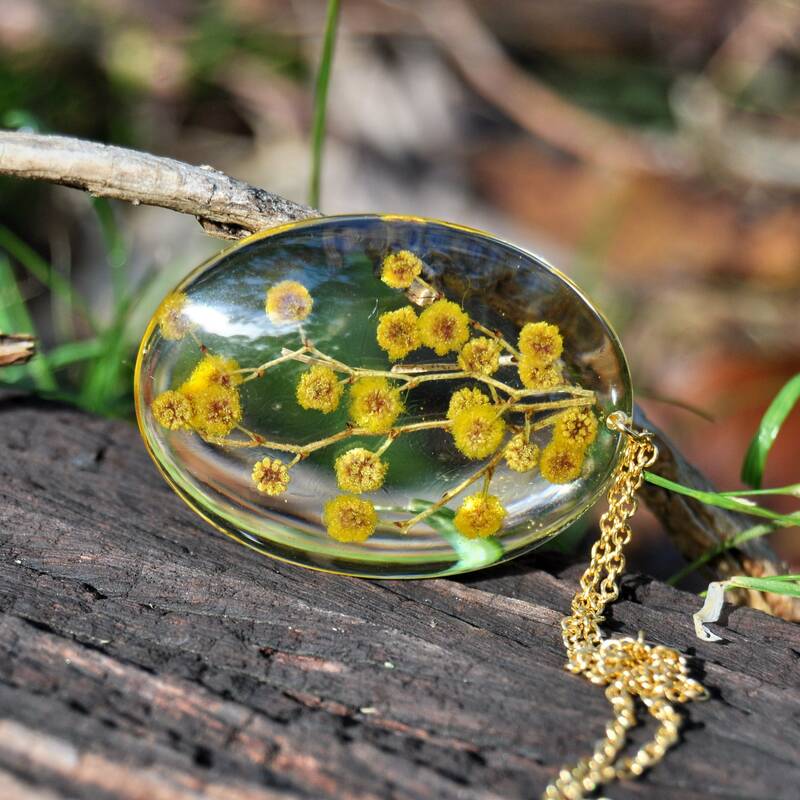 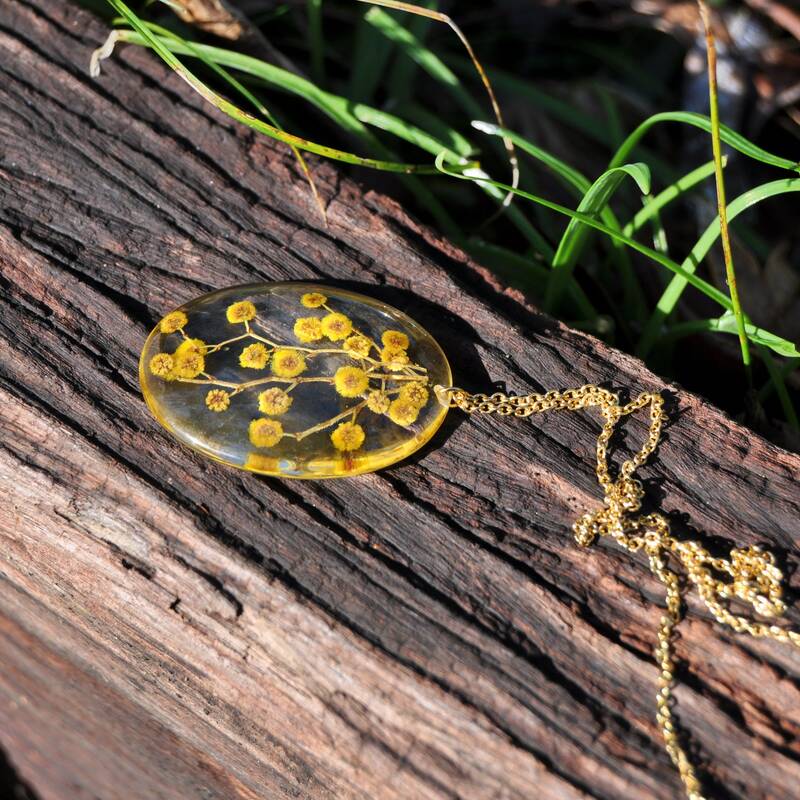 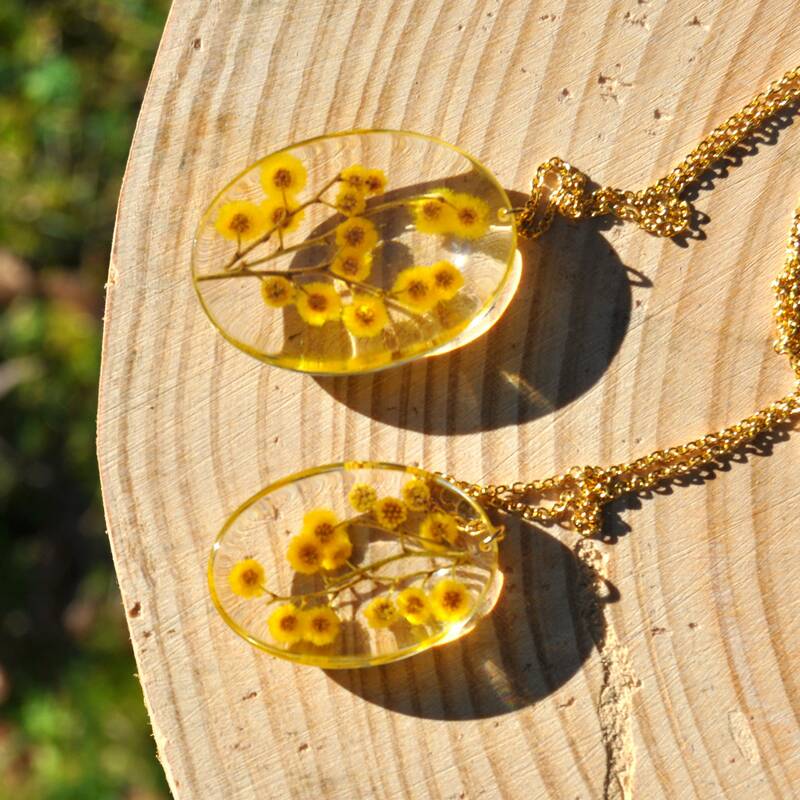 These pretty oval shaped necklaces are handmade from clear eco resin and pressed flowers from the Silver Wattle, a tree native to Australia. 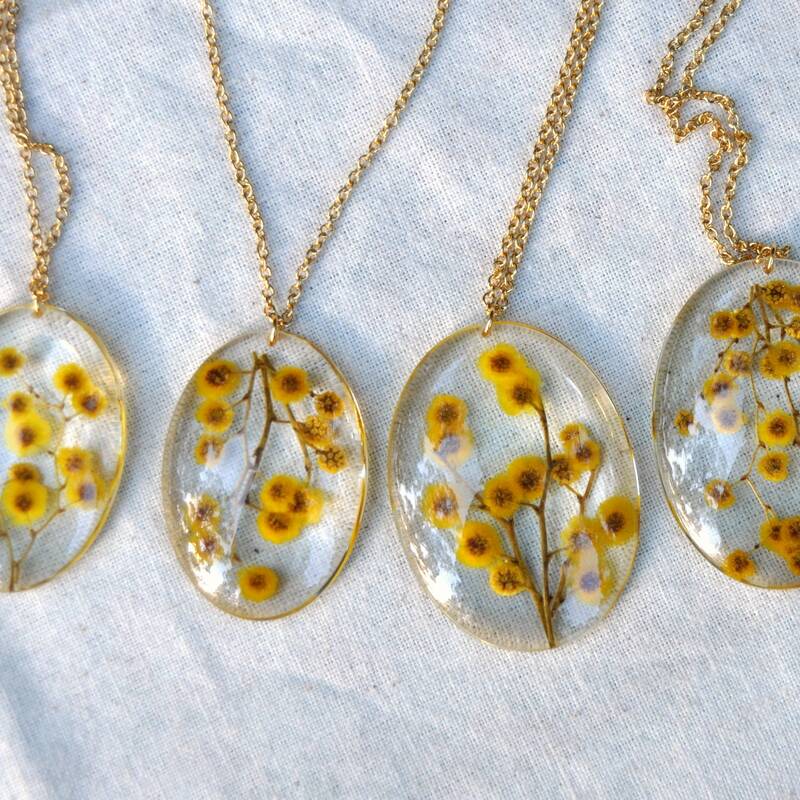 Pendants are curved on the from and flatter on the back. 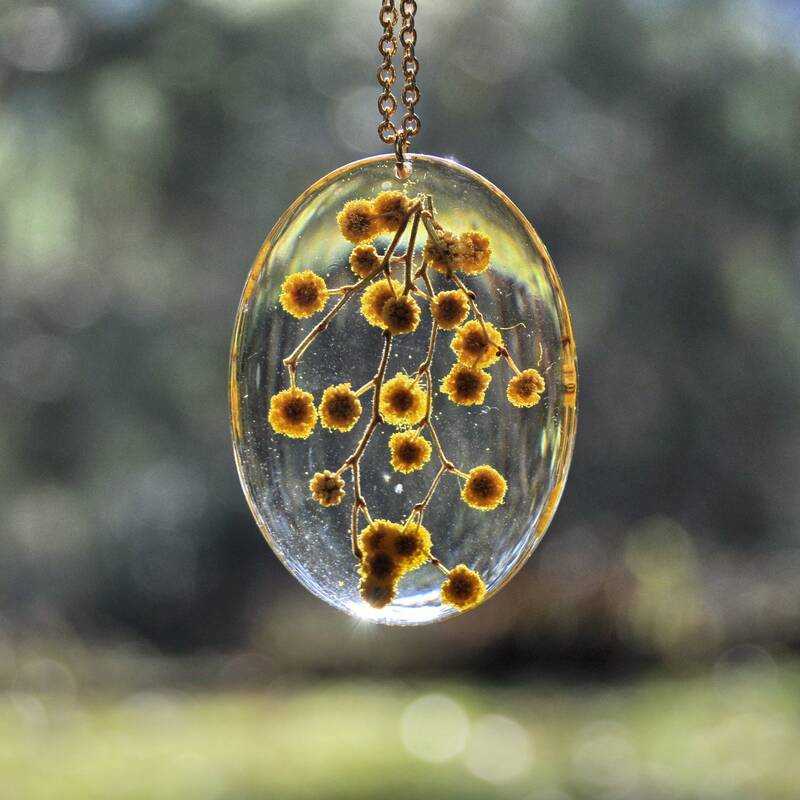 Please note that the flowers may be arranged upwards (as if they were in a vase), or downwards (as if they were hanging from a tree). 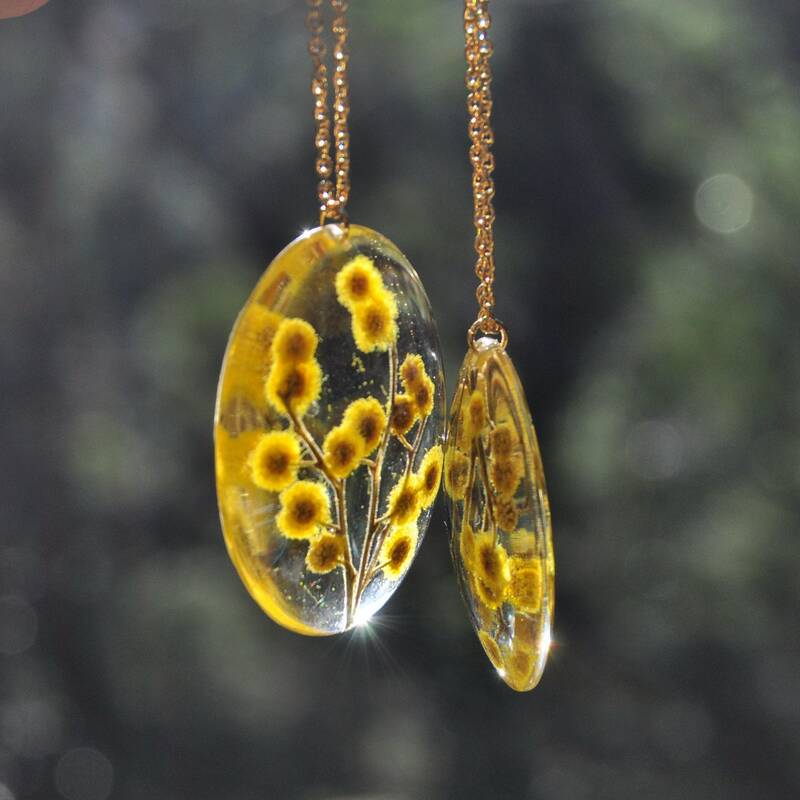 Wattle pendants come in two sizes. 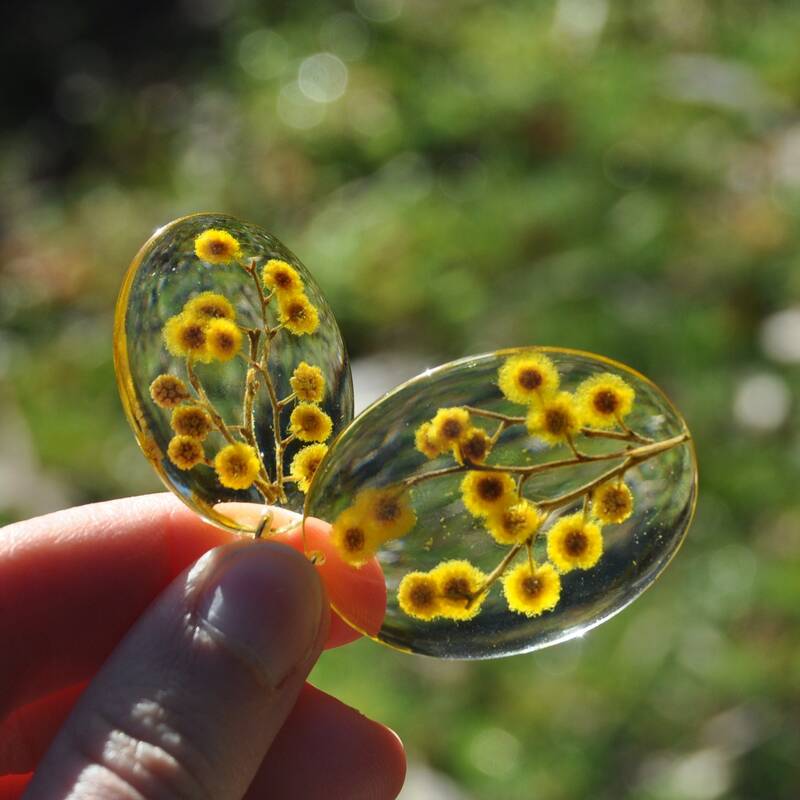 >> Small: 35 x 25 x 7 mm. 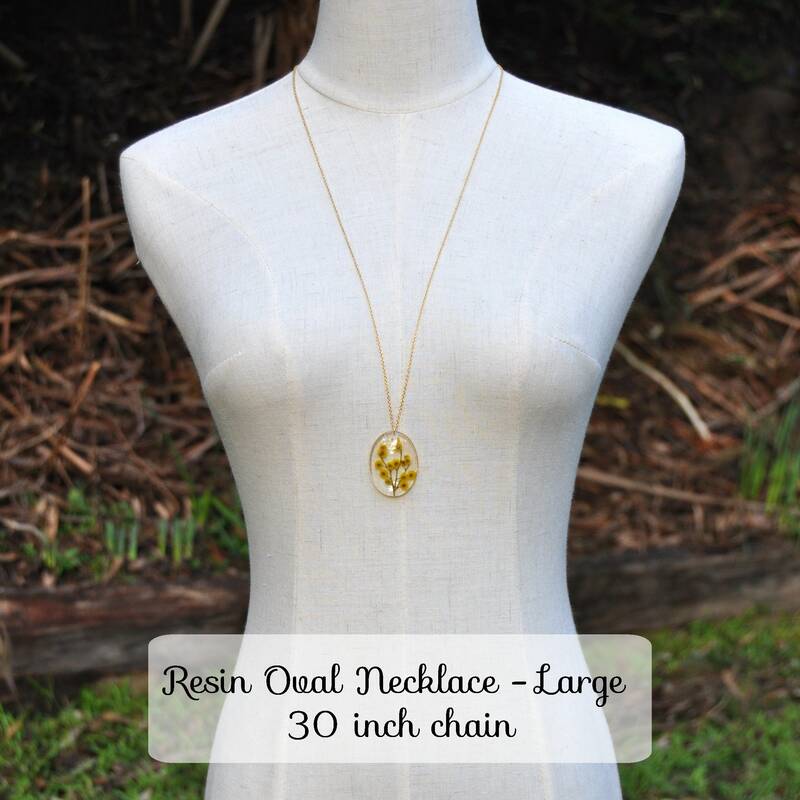 >> Large: 40 x 30 x 7 mm. 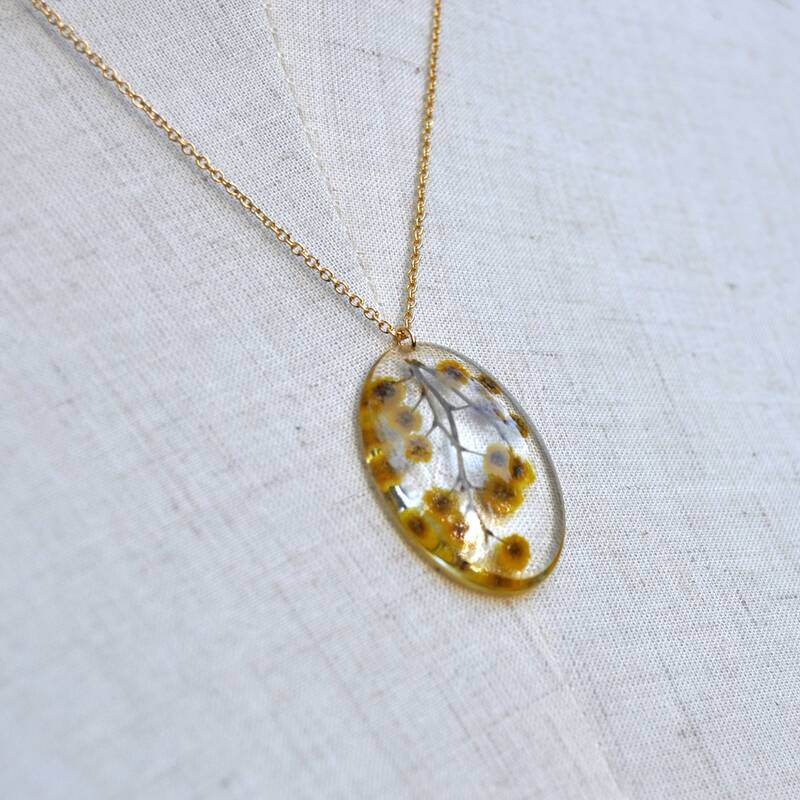 Each pendant comes strung on a thin stainless steel chain, which is delicate but strong. 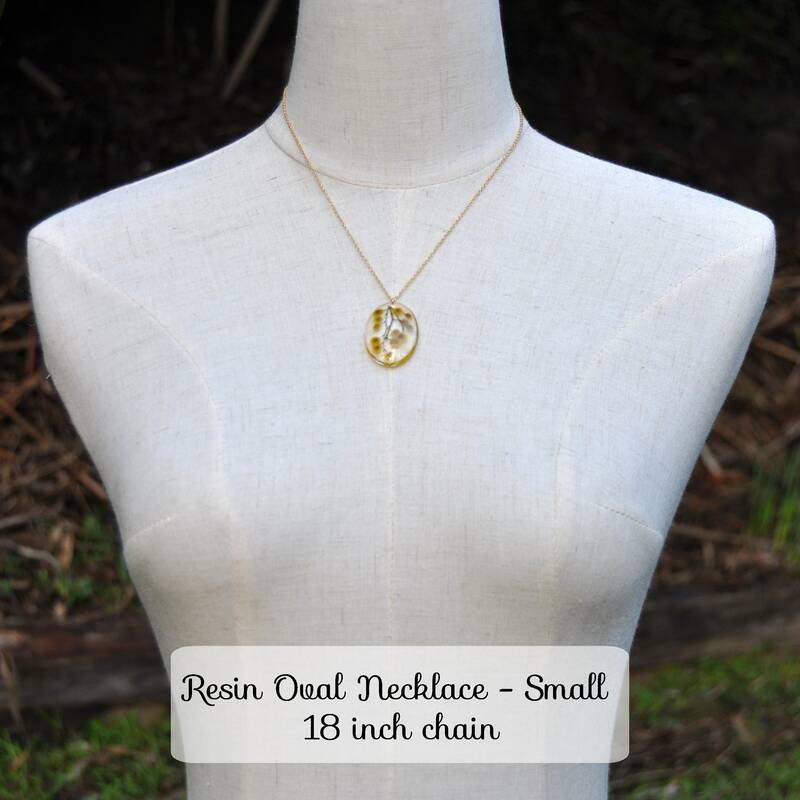 If you require a different length chain than those available in the drop-down menu, just write me a message in the 'note to seller' section at checkout - I make all chains to order.